Let’s get eatin’ at Eaton! 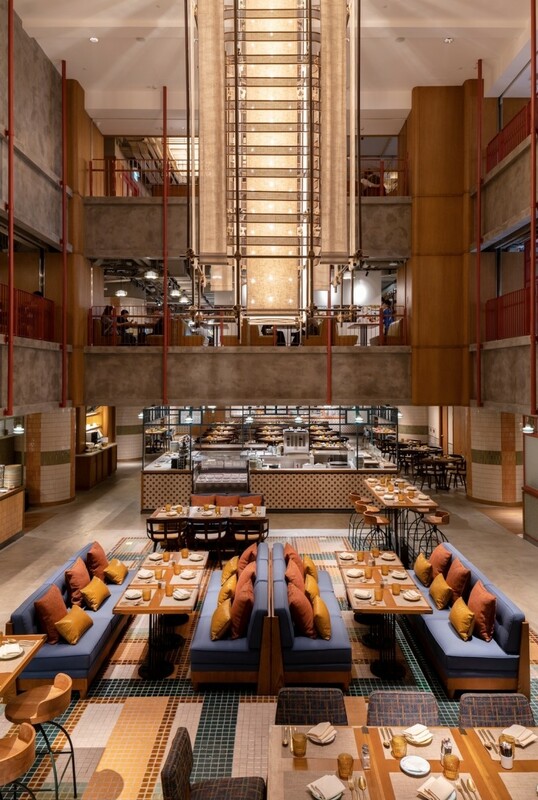 Eaton, Hong Kong, a refined and comfortable oasis in the heart of Jordan (with an eco-friendly outlook to boot), offers four F&B outlets. First, there’s the Foodhall, a spacious food court with 10 different stalls offering a variety of tasty treats plus bar Flower Years. The Astor showcases mouth-watering lunch and dinner buffets amongst a cosy seating area, perfect for lounging when you’re experiencing a post-buffet food coma. Terrible Baby offers innovative sustainable cocktails, live music and a spacious terrace. And if you really want to treat yourself, Yat Tung Heen, the hotel’s elegant Michelin-starred fine-dining option, is just one floor away. So if you’re looking for some good eatin’, head on over to Eaton. 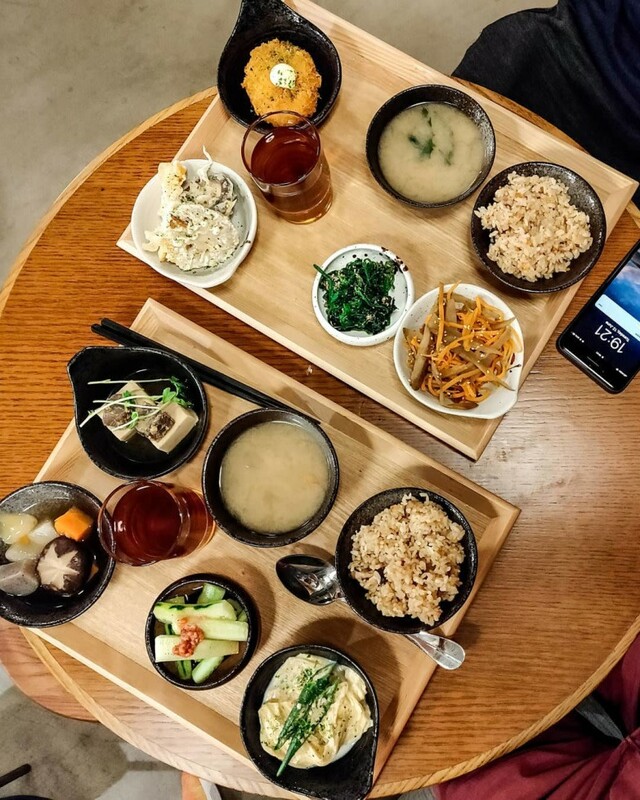 The affordable Foodhall offers established favourites like Japanese curry house CoCo ICHIBANYA, as well as some funky places you might not have heard of (but aren’t going to be able to shut up about for weeks to come). For carnivores and vegetarians alike, the Foodhall has a diverse selection on offer, so you’ll never go hungry. 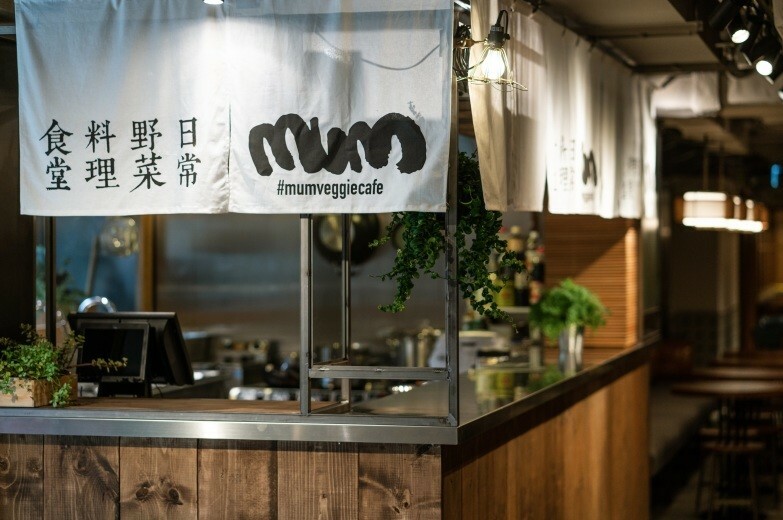 The seating arrangements are as plentiful as the food choices, and even when it’s super busy, the atmosphere is lively but not too loud or crowded – something that’s very hard to find during a bustling lunch hour, especially in Hong Kong. We had the opportunity to try the beef pho from Fûhn, a massive bowl of broth, noodles and various cuts of beef. It was delicious and not too heavy on the tum – a high-quality dish with high-quality ingredients that could easily be shared by two people, making it perfect for a lunch date. Then came MUM Veggie + Coffee + Sweet, the kingpin of vegetarian/vegan gratification. We, as carnivores, were blown away by the freshness and flavours packed into MUM’s seemingly simple (yet creative) dishes – think lotus-root tempura and beetroot and sweet potato mash. Honolulu Cafe still makes one of our favourite egg tarts, with the pastry flaky and delicate but substantial enough not to fall apart in our hands. They’re also known for their pineapple buns, so choose wisely before stuffing your face at the other counters, because you should save some space for dessert here. Another stall is The Lobintan, which serves all your local favourites (jumbo – and we mean jumbo; these guys were huge! – curry fish balls, egg waffles, spring rolls and the like) with their own twists, so you’re not just getting your regular street-vendor equivalents. The fish balls hit home, and if we hadn’t been so overzealous with the previous dishes, the egg waffles would have been a welcome treat too, based on what we saw. 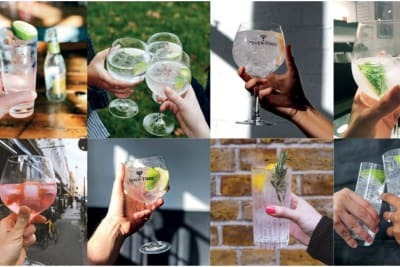 Now, although we’ve already praised the Foodhall as a lunchtime getaway, it’s also ideal as a place for after-work drinks. Bar Flower Years has one of the largest selections of craft beers we’ve seen and is open to the outside for those milder evenings where you want a breath of fresh air after a day spent at the office. 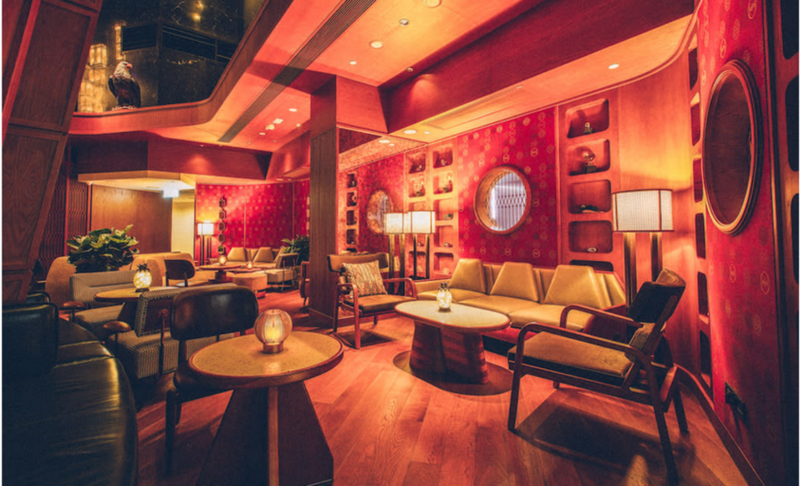 Adjacent to the bar is the in-house DJ booth, so over and above the already stellar vibe, you’ll have some great music to keep you going. Once again, going with the premise of the venue, the drinks are all reasonably priced. The Astor, a huge basement dining room filled with even more choices (which is hard to believe, we know), offers all-day dining and buffets for the indecisive eaters who want a “li’l bit of everything”, or a lot of everything – because, let’s be honest, buffets are a challenge and we play to win. 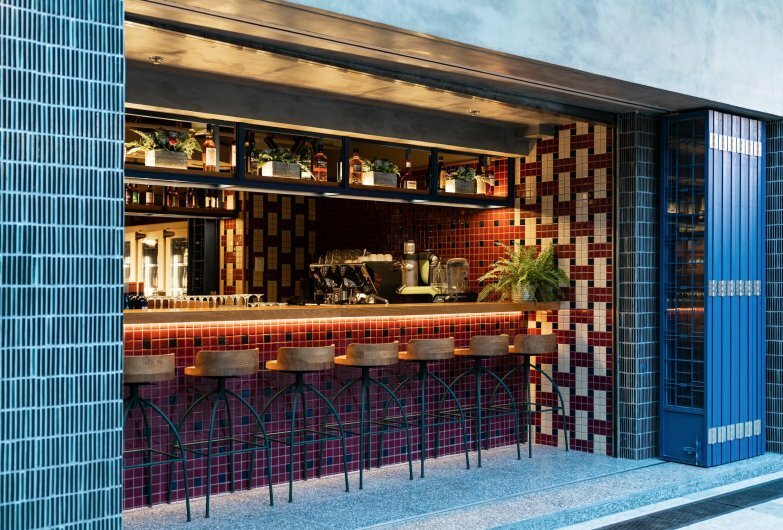 A modern spin on HK’s beloved cha chaan tengs – beautiful tiling, dinky chairs and tables, low-hanging lights that keep your food warm – the overall vibe of the space is relaxed, but it still gives you that wow factor when you see all that food just waiting for your greedy, grubby hands. 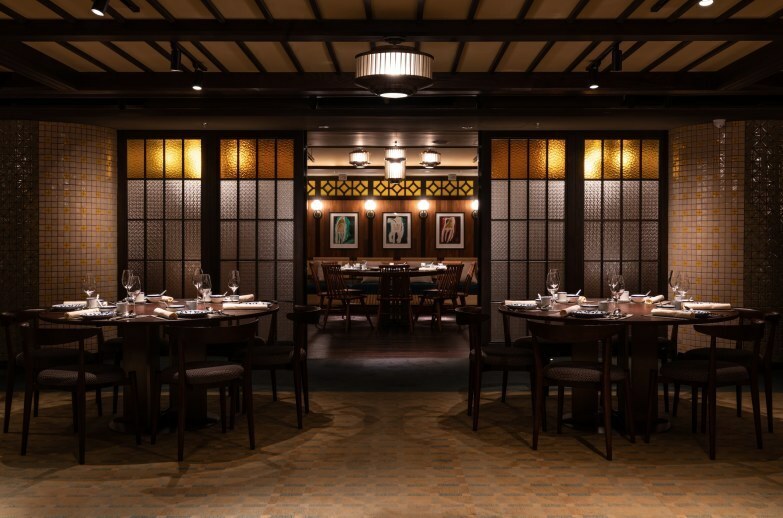 With vegetable-first options, Cantonese specialities and eight live-cooking stations, The Astor will satisfy the fussiest of eaters and the most gluttonous of buffetgoers. 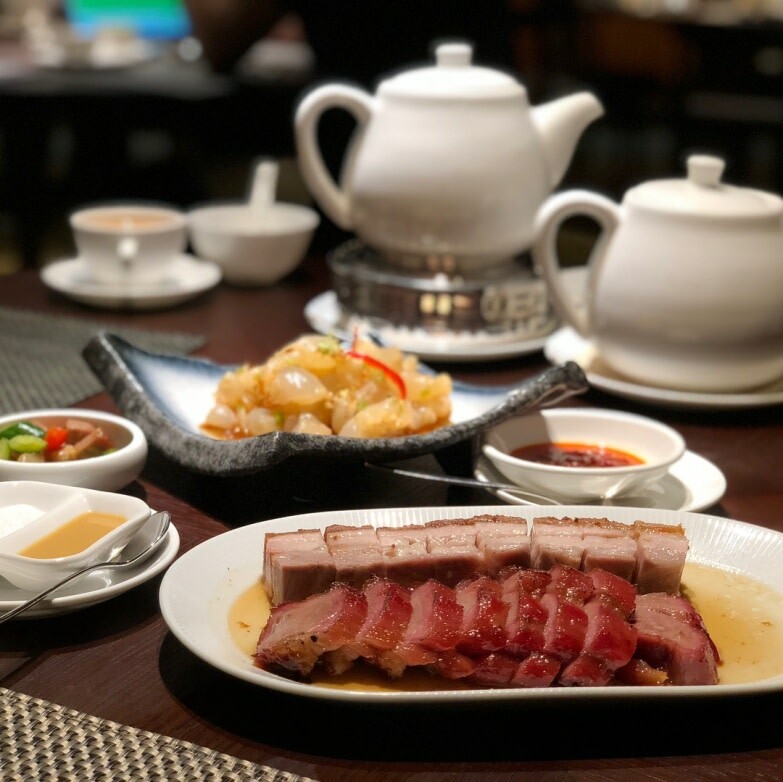 Yat Tung Heen, the Eaton’s premiere fine-dining restaurant, is an option for those looking for a quieter, more upscale dining experience (and top-class food to go with it). The main dining area has a comfortably luxurious atmosphere that wouldn’t intimidate the average Joe, plus there are private rooms available for big groups or special events. We have yet to try the Michelin-starred food, however, just going by the decor, the fine details (for instance, the menu comes in a wooden box filled with playing cards that each represent a different dish) and the other excellent hotel dining options, we’re sure the food at Yat Tung Heen is of the highest standard. Besides having an awesome name, we heart the art- and music-driven bar Terrible Baby, which serves up sustainable cocktails and hosts live bands and outdoor events and wellness activities for local creatives. For those who aren’t too keen on travelling to the Dark Side, I’ll just leave you with the fact that the hotel is only 17 minutes from Central on the MTR, which really isn’t that bad at all. 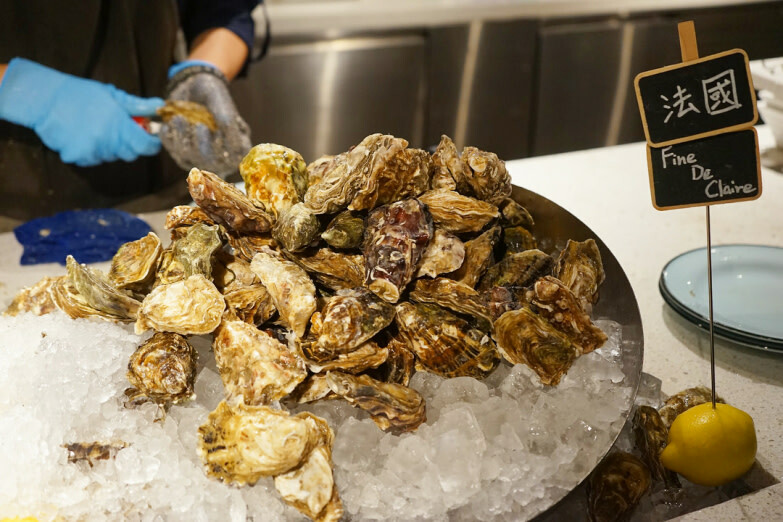 A bonus, if none of this has tempted you enough, is that Eaton’s mission is to lead the way for more ecologically conscious practices amongst hotels and restaurants in Hong Kong. They’ve already removed all plastic straws and single-use plastic cutlery from their restaurants (YAY!) and have also partnered up with the local Water for Free organisation to offer complimentary water dispensers for those with their own reusable water bottles (DOUBLE YAY!). Not only does this save the environment, but the absence of plastic cutlery in the Foodhall lends a touch of sophistication to a concept that can sometimes be a bit tacky. Eaton has absolutely smashed it out of the park with their dining options, and our mouths are already watering for round 2. This write-up is based on a complimentary media event provided in exchange for an honest review and no monetary compensation. The opinions expressed here represent the author’s.